Bubby and Bean ::: Living Creatively: New Feature at Bubby and Bean >> SWEET+SOUR! New Feature at Bubby and Bean >> SWEET+SOUR! It's no secret that I spend very little time in the kitchen aside from decorating. I'm a terrible cook, and when house chef Robbie is on the road, I live off of Amy's Organic frozen meals and take-out. I've also been a vegetarian for 22 years, and literally have no idea how to cook meat - which isn't exactly appealing to the majority of foodies out there. My sister, however, inherited our father's prowess for gourmet cooking. She's a high school teacher by day, but her evenings are filled with preparation of some seriously amazing meals. She's a huge fan of trying new foods and bringing together interesting recipes to come up with original concoctions of her own. There is a twist though... Her husband/BFF/biggest cooking fan, Josh, is an incredibly picky eater, and doesn't like branching out from his favorites. So how does she, as a lover of cooking for herself and her hubby together, solve this dilemma? How does one cook unique, delicious meals for two opposites? That's what you'll find out, in our newest feature, Sweet and Sour! I'll leave the rest of the introduction to Morgan. 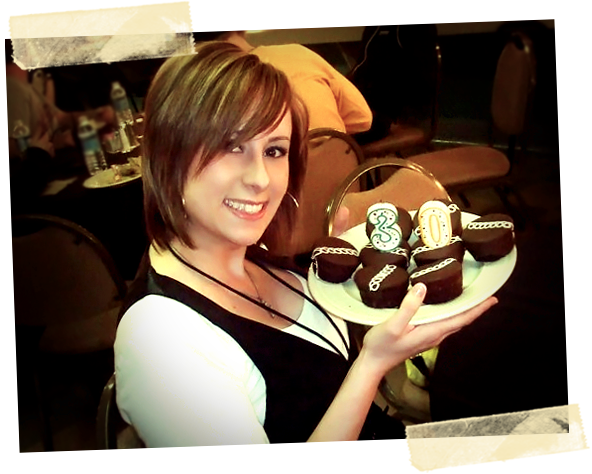 And check back tomorrow for her first Sweet + Sour recipe post! Enjoy! The hubs is out of town this week. The only truly good thing about being by myself, other than watching endless hours of girly tv/movies like Real Housewives of NJ and Pretty Woman, is the fact that I get to make and eat the heavenly foods that my husband refuses to even touch, let alone try. He thinks it’s funny when he tells me that he is “allergic” to things like tomatoes and strawberries, even though he eats pizza, spaghetti, and strawberry fruit roll-ups (which actually includes real strawberries, believe it or not). His list of food allergies tends to change depending on the menu/cuisine. He’s not just picky - the man has literally never eaten a berry! Don’t get me wrong, I’ve been known to eat some odd food combos in my day. One of my favorite snacks when my friends and I used to go to diners in high school was a hot fudge sundae, and a side of bacon. I still order that to this day, and I still get weird looks from the server. So my husband’s reluctance to eat some of my food concoctions has a little merit. After 14 years together, and weekly struggles about trying to get him to try new things, my sister and I talked about me writing this new feature for Bubby and Bean. What you will read includes both my favorite recipes to make for the two of us, and those I make just for me. I am certainly not a professionally trained chef, but I have a dad who taught me well and who used to claim that the only woman he’d marry other than my mom is Julia Child. I’ve been cooking from the moment I could hold a wooden spoon and I’ve had 14 years of successes and failures when trying to cook for just the two of us. I hope you enjoy the recipes, and the stories that go along with them! Be sure to visit Bubby and Bean again tomorrow (Friday). I'll be sharing a really yummy recipe I made for myself this week while my man was in Florida. Ah ha, I cook for a ridiculously picky eater too!! Can't wait for this!! Ha! It's hysterical that he says he's allergic to foods he just doesn't want to eat. 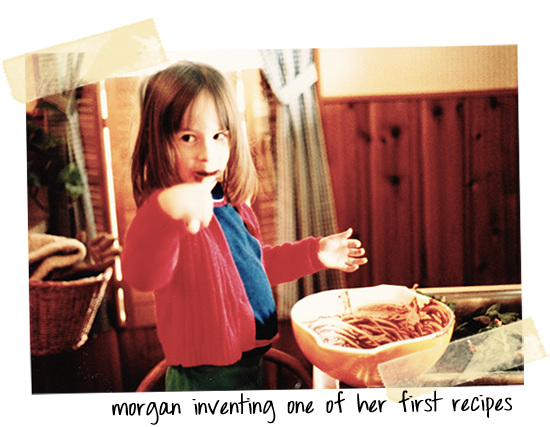 Excited to see your recipes, Morgan. I can't wait for this series! I always have a hard time figuring out what to make whenever I do have to cook. My boyfriend is a chef so I don't usually have to do much except when he works I have to fend for myself. haha.